Stuart Miller is a distinguished trial lawyer with extensive experience defending catastrophic injury suits, professional liability claims and suits for wrongful death. 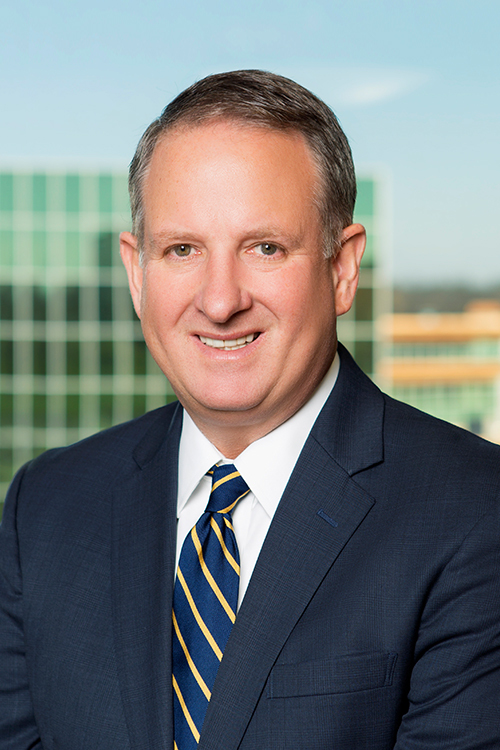 His practice focuses on complex high-stakes commercial litigation, defense of class actions and catastrophic personal injury and wrongful death defense. In addition, he has an established practice in areas involving insurance coverage matters and bad faith claims. Mr. Miller’s clients represent a wide spectrum of business and industries, from Fortune 100 companies to privately owned businesses, for which he has tried numerous cases involving professional liability, product liability, transportation and premises liability claims. He offers effective risk management and preemptive legal analysis for clients to help manage their risk and outcomes, and he places a high premium on the use of technology within his daily and trial practice to efficiently manage client matters. For more than 29 years, Mr. Miller has been recognized by numerous organizations and companies for his accomplishments in the courtroom. Successful defense of businesses, including convenience stores, large retail stores and restaurants, involving significant premises liability claims. Represented private employers, non-profit organization, agencies, religious organizations and youth groups in multiple claims of alleged sexual and physical abuse achieving successful defense outcomes. Obtained voluntary non-suit at jury trial of plaintiffs’ case involving alleged work place injury. Represented accounting firm in professional negligence and breach of fiduciary duty trial obtaining defense verdict following two week jury trial in Pulaski County, Arkansas. Successful defense of multiple Dramshop actions related to death and significant injuries associated with the sale of alcohol. Successful defense of multiple claims of salmonella food poisoning associated with a significant salmonella outbreak in Central Arkansas restaurant. Defended a physician against a medical malpractice claim in a week long trial in which Plaintiff’s counsel requested $8 million dollars in death of two week old child and obtained defense verdict. Obtained favorable jury verdict for contract damages in two week trial in which Plaintiff’s counsel requested $5.3 million dollars in bad faith arson trial. Successful defense of multiple long term care matters in which cases proceeded to trial and resolution was obtained well within defense assessment. Successfully defended and prevented class certification in case against long-term care providers in Arkansas where plaintiff alleged class action status under theories of resident’s rights and breach of contract. Serves as regional panel counsel for several insurance companies that insure long term care facilities in the United States and Arkansas. Serves as regional counsel in litigation for one of the largest long-term care facilities in defense of allegations of nursing home negligence and resident’s rights violations. Serves as statewide counsel for defense of trucking/transportation claims for one of world’s largest retailers.